There is so much talk about nutrition and fitness sometimes the message of what is best for you is lost in all the noise. Think of Nutrition as your diet, or the food you put into your body. Think of Fitness as the work you do to help maintain the function of your heart and keep your weight at a reasonable level, like walking, lifting weights, yoga, or playing sports. For many of us, nutrition and fitness go right out the window when the stresses of life take hold, and it is easier to eat a donut for dinner and skip the gym altogether. To combat not eating right and forgoing a great workout, get a customized nutrition and fitness plan from the team at Integrated Health Solutions. When you have a plan, the stressors in your life will not have as much impact on your own personal nutrition and fitness. We all have different needs when it comes to nutrition and fitness. At Integrated Health Solutions, we take time to sit with you and discuss what is best for you and only you. 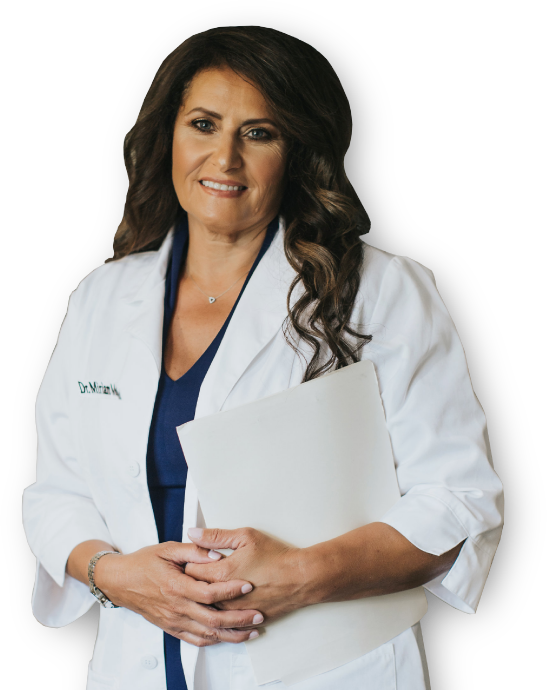 Dr. McParland uses the results from detailed laboratory tests performed at Integrated Health Solutions then she will tailor a nutrition plan to best help her patients reach their optimal health goals! This is what is used to customize a plan for each patient. For example, if a patient has elevated triglyceride levels then Dr. McParland will run lab tests to see exactly what is the cause of the elevated triglyceride and give you a detailed solution to lower the elevated triglyceride naturally. Dr. McParland and her team at Integrated Health Solutions will create a custom nutrition plan that is easy to follow and will benefit you. Aerobic exercises like walking, running, swimming and cycling can lower blood cholesterol. Additional benefits of exercise include lower blood pressure, lower blood sugar and reduced stress levels. If your weight is a concern, aerobic exercise will help you lose weight by burning calories. Aerobic exercise should become a routine and it is ideal to build up to exercising four or five times a week for at least 30 minutes each time. If you are ready to take an honest look at your current nutrition and fitness need a custom plan to make changes, come to see us at Integrated Health Solutions. We are trained to use nutrition and fitness as part of a wellness plan for you. For more information on how a chiropractor can help you meet your nutrition and fitness goals, contact us to schedule an appointment today. In order to live a productive and fulfilling life, we need healthy bodies. It is important to be healthy not only for yourself but for your loved ones. Many people don’t realize that having a strong nervous system is a huge factor for our health. Schedule a free consultation at Integrated Health Solutions to see how chiropractic care can benefit your daily well-being. following form to request your consultation.